I’ve truly become coffee obsessed lately. Learning to really appreciate the power and taste of good quality coffee. 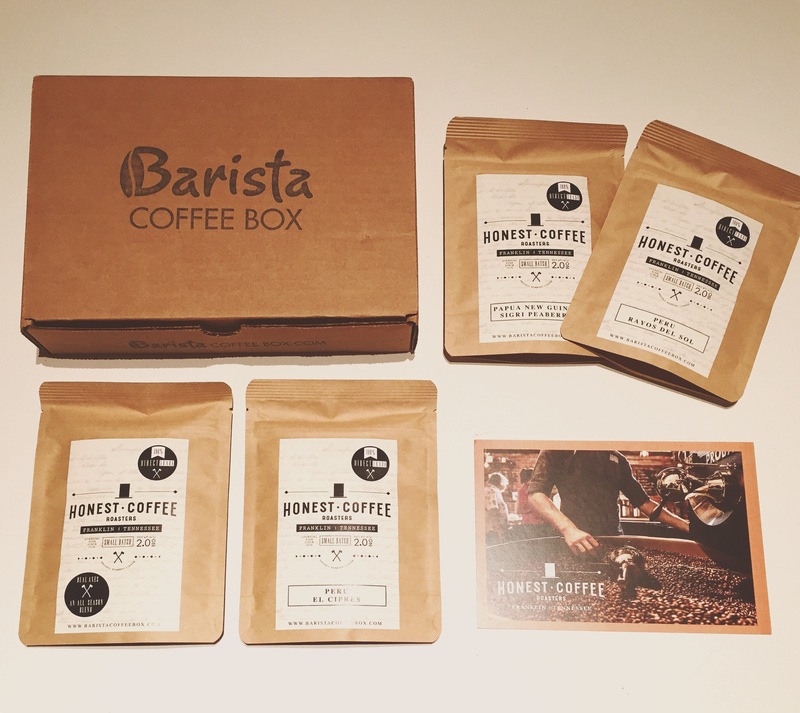 I am lovely Barista Coffee Box and their monthly boxes featuring a new roaster each month, want more? You can get up to 4 packs of 2oz fresh roasted artisan coffee beans delivering each month! They give you the opportunity to try countless brands of coffee from all over! I don’t like drinking the same coffee all the time so it’s perfect for trying new roasters from around the country! Peru Rayos Del Sol – Here is a jammy sweet one for you from Peru! Dual Axes All Season Blend – Mmm notes of chocolate cake? Can’t go wrong here. This one’s from Peru & Guatemala and is a blen of 2 roasts. Papua New Guinea Sigri Peaberry – This one is interesting! It’s a savory rather than sweet combo with notes of fig, butternut squash and root beer. Peru El Cipres – From Peru, this one has coconut notes which I love.